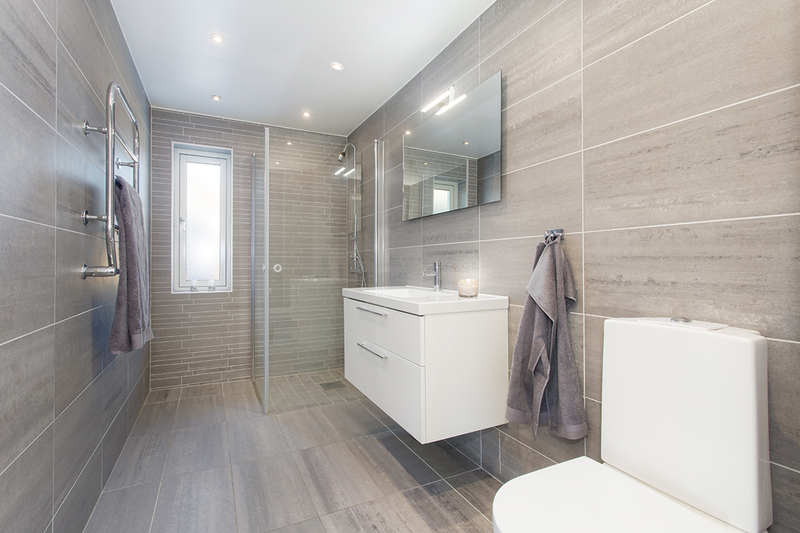 If you’re looking to increase your home’s value or simply make your day-to-day life more comfortable, bathroom renovations are a good starting point. At the same time, DIY bathroom renovations present many makeover challenges that you won’t encounter in other projects – it is a small space with high humidity and complicated system of water pipes and electrical wires. 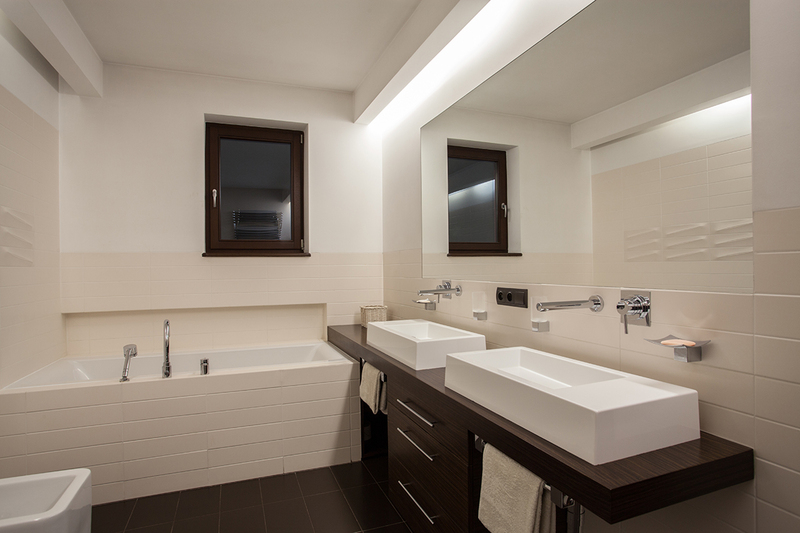 Let’s look at the hurdles that you can expect on your way to a successful bathroom renovation. Structural costs. If you want to enlarge your bathroom by moving a wall, be prepared to pay for both demolition and construction, as well as setting aside a sum to replace or relocate any plumbing inside the walls. Demolition and waste disposal. These often get forgotten as homeowners focus on the new materials and items that they need. However, don’t forget that you would also need to demolish old tiles and floors, take out the old bath and then take that to a recycling facility or a junkyard. In addition to purchasing new materials and fixtures, you would also need to pay various tradies to install all of it. Don’t lose sight of labour costs and schedules. Depending on the materials you use and how many fixtures you change, you might need additional waterproofing. VBA recommends fully waterproofing timber floors and making sure that fibre-cement floor is at least water-resistant. It is rare for DIY projects to go without a hitch, so you still might get some unexpected costs during your makeover. As a rule of thumb, we recommend saving up an additional 20-50% of your planned budget as a safety net for your renovation. Alternatively, a good way to keep your budget under control is hiring a pro to manage the whole project or at least consult with you on the initial planning. Spending some extra on a trusted builder usually ends up saving your money on labour costs and avoids scheduling conflicts or budget blow-outs. 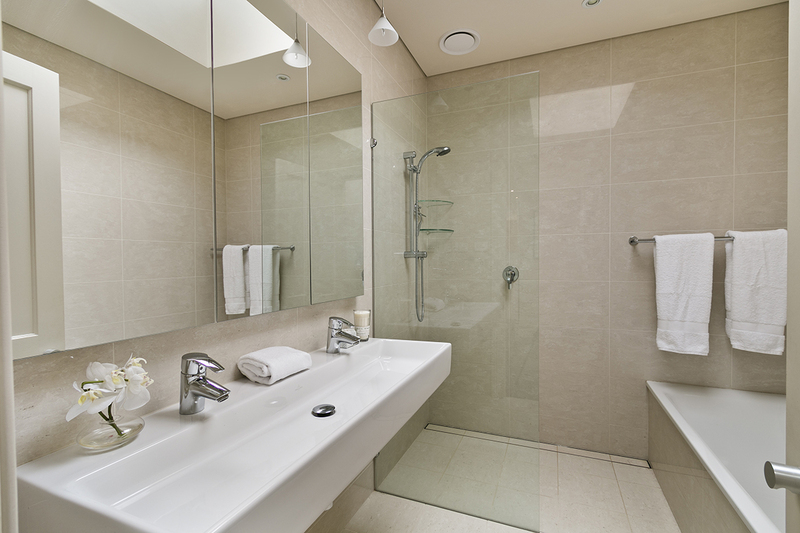 The secret to a stylish and comfortable bathroom design is making efficient use of your space. You need your bathroom or ensuite to be functional, with all the appliances and a generous storage space to avoid clutter. But there’s also the risk of overcrowding the room, making it feel cramped and uncomfortable. Ideally, beyond simple practicality, your interior should also have a good flow and an elegant look. The solution to hitting all three goals is also threefold. The first part starts with your initial layout plan. Make sure to measure the space and all of the items that you plan to have there and keep your renovation plans scaled properly. Don’t forget about circulation space that you need around fixtures and furniture and don’t push things too close. In addition to being able to move freely you also need to be able to clean all nooks and crannies in your bathroom to avoid any water damage or mould. Second part of using your space efficiently is research and compromise. If your plan looks too cramped, consider swapping a bath for a shower or moving some cabinets out into the hallway. The ‘research’ part here means looking into different smart options for fixtures and furniture available on the market, as well as browsing for some inspiration on how to design and decorate a small bathroom. Bathroom renovation ideas that are smart and multi-functional include adding storage space under the bathtub, using built-ins or affixing shelves and hangers to the ceiling and so on. Finally, a great visual is half the job in interior design. There are plenty of tips and tricks to make your bathroom appear larger without sacrificing any functionality. 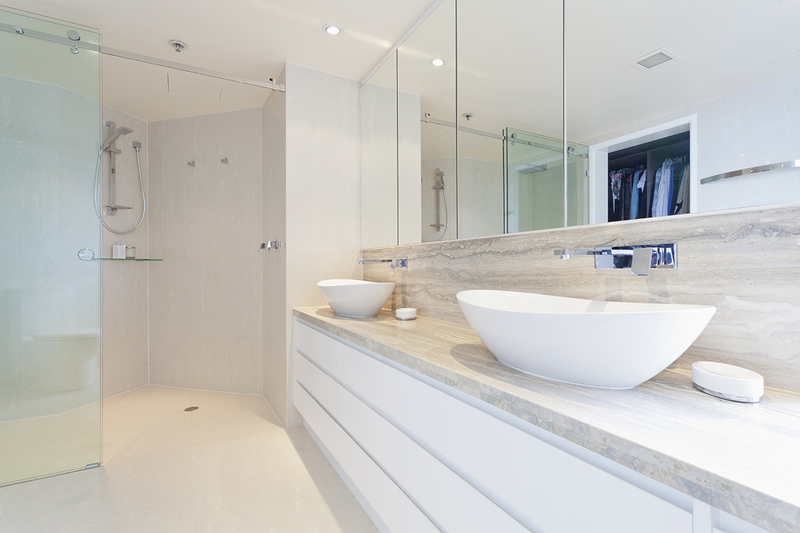 Avoid letting dark colours dominate the space unless you have a very large bathroom. Use neutral or light shades and uninterrupted lines in your tiling for a free flowing sightline. Add plenty of light to make your bathroom airy and spacious. This includes windows as well as artificial lighting. And don’t forget that mirrors visually double the space they reflect, so don’t hesitate to hang some large ones. Using shiny metallic surfaces serves the same purpose, although to a much lesser extent. There are plenty of invisible things that go into making your home perfect. Without them even the most beautiful interior becomes impractical and unpleasant. So it is crucial to take those into account right when you’re starting to plan your renovation project. Start with simple things, like making sure there are enough electrical circuits and that they are located in all the right places. Trying to stretch the cord of your hairdryer to be able to look at yourself in the mirror is not a very fun thing to do every morning. Do an audit of all the little items that you usually have strewn around your bathroom – from razors and soap bars to medicine and appliances. When drafting your plan, think of where you intend to store them. Good air circulation is another thing that can make or break a bathroom. Make sure your ventilation is appropriate for the size of your bathroom and that it is accessible for cleaning. Air flow is the best defence against mould and mildew. If you really value comfort and have some funds to spend on it, underfloor heating is a popular addition to modern bathrooms. Warm floor tiles are a better alternative to bathroom rugs that can get messy and difficult to clean. In the hot Aussie climate many homeowners opt to only install underfloor heating avoiding any bulkier options. A clean, spacious and well-equipped bathroom not only boosts your home’s market value but also improves your overall standard of living. We hope that these tips help you make the right decisions on your way to a perfect bathroom.